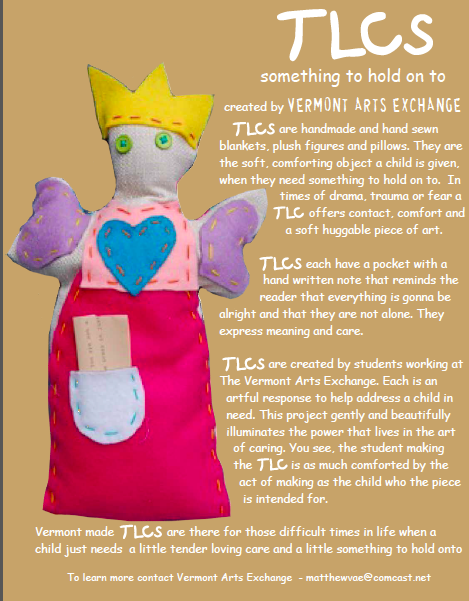 The Vermont Art Exchange (VAE) has created a new program called TLC. 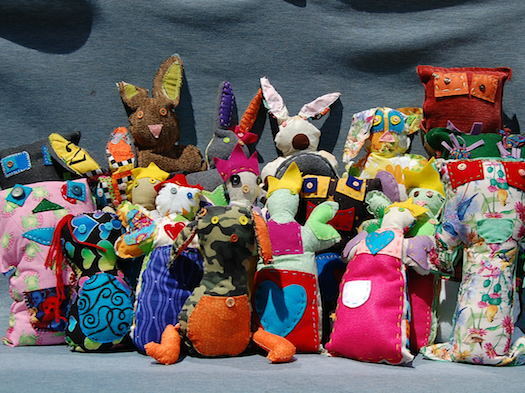 The goal of the program is to provide children who have been traumatized, displaced or injured with a handmade, snuggable and lovable doll, plush figure or pillow. TLCs are there for those difficult times in life when a child needs a little tender loving care and a little something to hold on to. Each TLC has a pocket with a handwritten note that reminds the reader that everything is going to be OK and that they’re not alone. 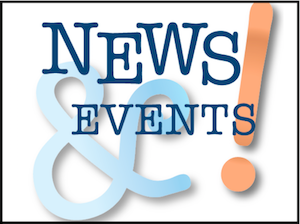 Our first meeting will be at the LEFT BANK in North Bennington – Wednesday October 3rd from 6:30- 7:30 pm. 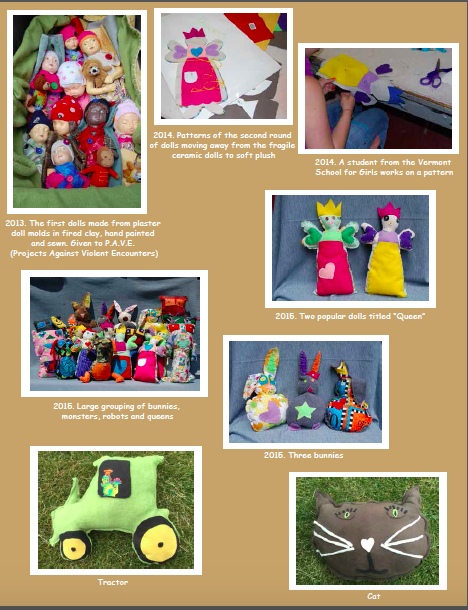 Please consider joining us to learn about this project and how you can use your sewing skills to help touch the life a child forever and for the better! Please RSVP to Rachel Payne. 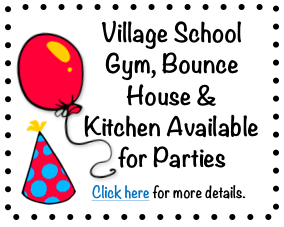 Please invite friends who you think would be interested in VOLUNTEERING! The more TLC volunteers … the more TLC we can share!